Then divide the dough into small gooseberry sized 20 balls and using a cotton cloth or kitchen tissue** flatten the dough to 1.5-2" flat disc. Flatten it as thin as possible. *For Gram dal Flour/Pottukadali Maavu, simple grind the roasted gram dal(pottukadalai) in blender to a fine powder. **Using Paper Towel to flatten the disc helps to absorb excess moisture from the dough and that results to crispy and crunchy thattais. 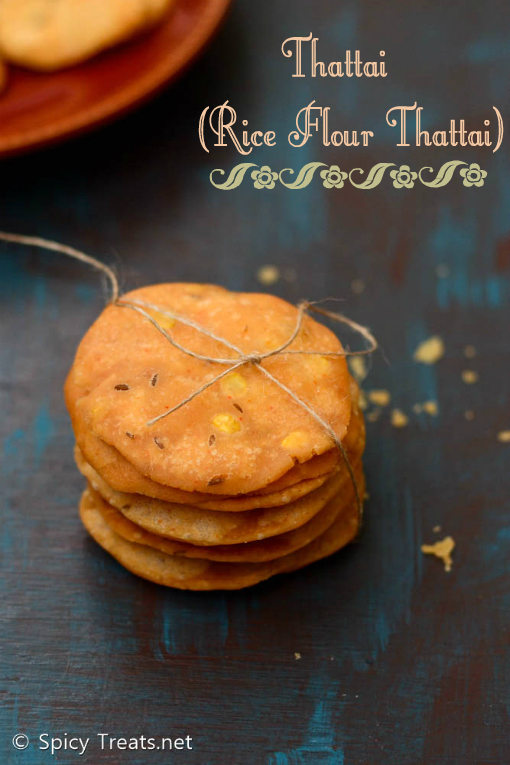 You can make flavored Thattai by using garlic paste or onion paste. Like wise instead of red chilli powder you can also use red chilli paste. Soak Channa Dal for minimum one hour then use it in the recipe. 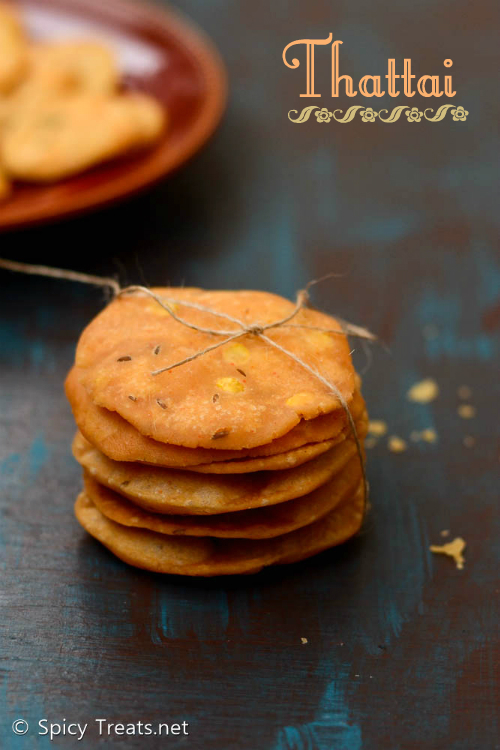 You can also use the soaked channa dal water to make thattai dough. 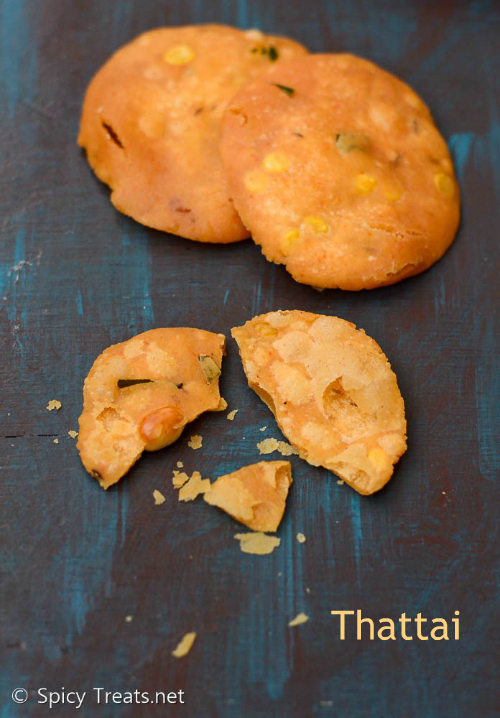 sooper crispy thattais perfect with cup of coffee!! Thattai s looks so perfect Sangee. 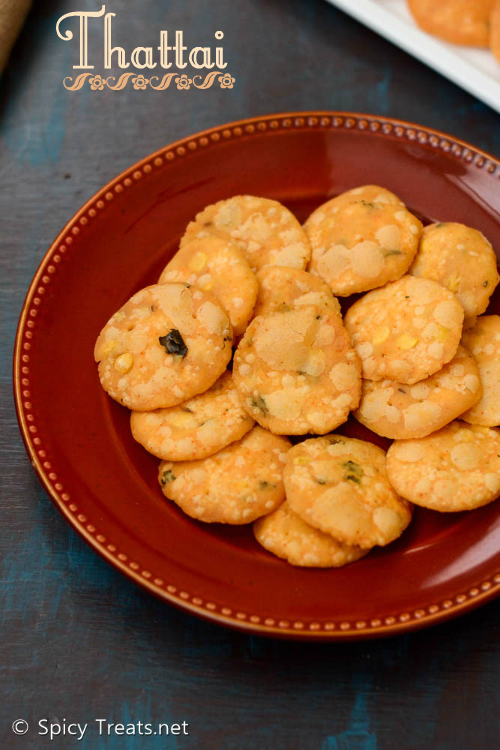 This is the first snack I learnt to make and I make it for every diwali. Still haven't posted it in my blog. You have explained the process very well. I loved the idea of using paper towel to flatten the thattais as they will absorb moisture. By the way as usual beautiful clicks.